Selina Kyle, cat burglar, social elitist, and the notorious scourge of Gotham City, Catwoman! 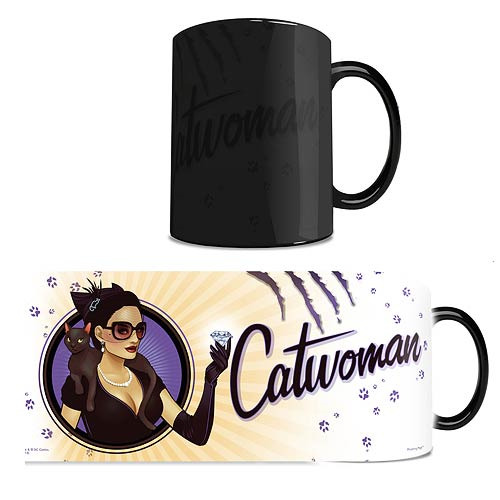 This 11oz Batman DC Comics Justice League Catwoman Bombshells Morphing Mug transforms from black as hot liquid is added! Watch as the heat-activated process reveals the hidden image in full vivid colors! Hand wash only. Not dishwasher safe.